The wonderful and super talented Julie nominated me for the One Lovely Blog Award – thank you so much, friend! – and I figured today would be a great day to post about it. WATERCOLORS has officially become the newest member of Query Land, which means I really need to think about something other than inboxes, synopses, and writing. Speaking of writing, though, you all should check out Julie’s blog, because it’s one of the best out there! Now, on to the award! I’m supposed to share seven facts about myself and nominate fifteen others to do the same. As it so happens, I think you all are lovely, so instead of picking specific people, I’m opening this up to everyone. 1. 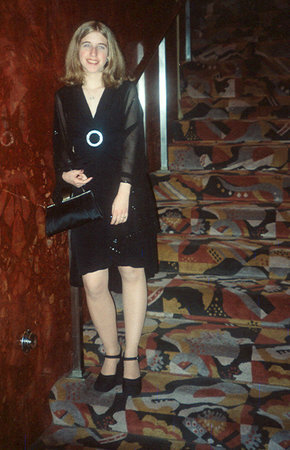 My college graduation gift was the coolest thing ever: a trip to NYC to attend the Daytime Emmy Awards (back when they were held at Radio City Music Hall) and a fan event with one of my very favorite General Hospital actresses. The Emmys were actually on the same day as graduation, and we almost didn’t make it there in time, thanks to torrential rain causing a power outage on campus that delayed commencement and a drive to New York that took twice as long as usual. Once we did arrive, though, it was an amazing experience. Nine and a half years later, I still smile every time I think about it. 2. I will drive completely out of my way to avoid the interstate. I don’t care if it means the trip takes an extra half an hour … if it means not having to merge onto the highway while cars simultaneously zoom by in four different lanes, I’m all for it. 3. After finishing SANDS OF TIME last year (ha, so much for not talking about writing … that lasted long! 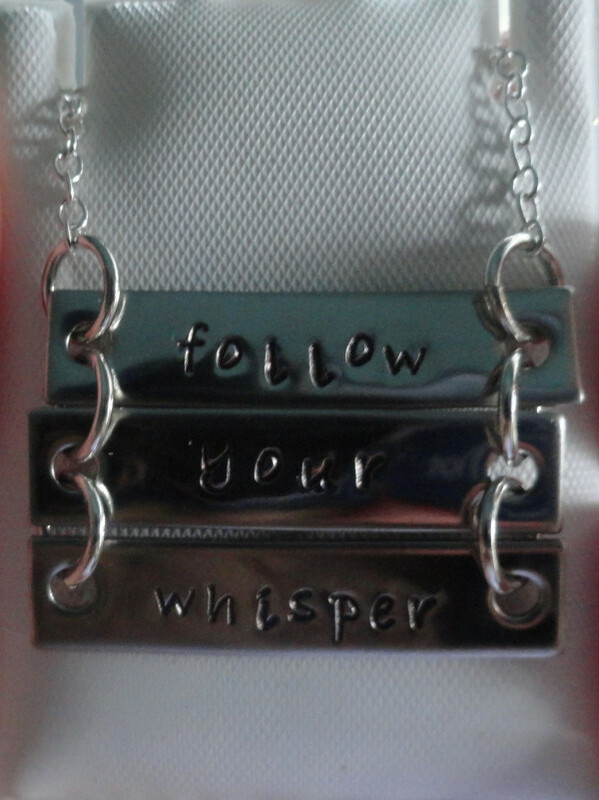 ), I treated myself to a customized necklace that says “follow your whisper.” That phrase plays a very important role in the book, and I loved the idea of sharing it with my main characters. Now that I’m finished WATERCOLORS, I would love to get something to commemorate that story, too. Perhaps a bracelet with one of Eden’s lyrics? 4. When I was a senior in high school, one of my favorite teachers asked me to be the student coordinator for a community media symposium he was organizing. It involved a lot of work, which I loved, and a speech in front of 200 people, which I did not love. My heart was skittering a million miles a minute, every sound in the room seemed amplified as it pounded in my eardrums, and I’m pretty sure my hands shook the whole time … but I did it, and it really was a growing experience. 5. I am a proud bunny mommy. It’s been almost a month and a half now since I adopted Jasper, and I absolutely adore him. He’s really starting to get comfortable here now, and it’s such fun to watch him explore his home. 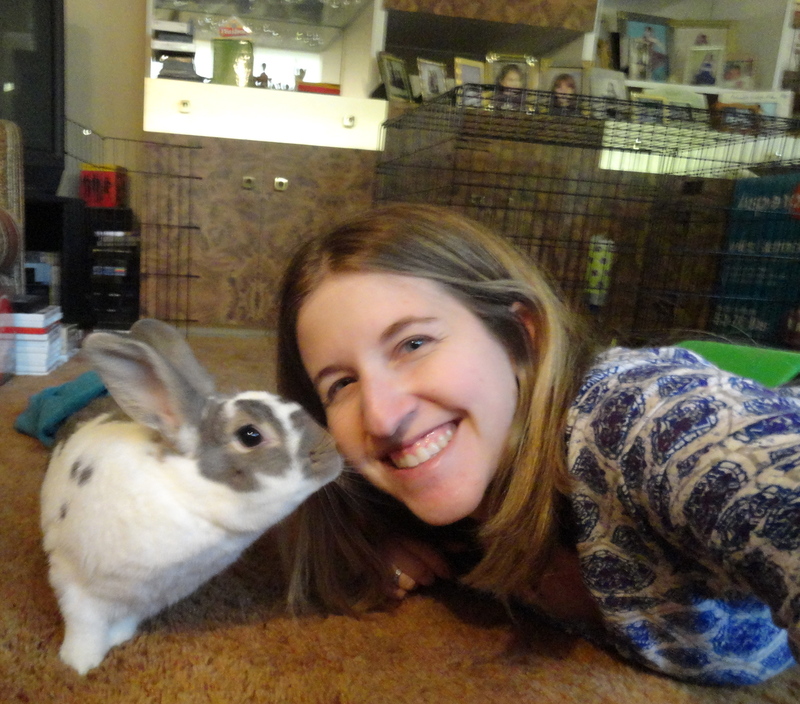 He loves to give kisses, “binky” around the room – his happy dance where he runs, jumps, and twists at the same time – and he always bops my hand with his nose when he scampers by. His new favorite game is hopping over my legs, running around to my feet, and then hopping over again … and again … and again. He’s my furry little love, and I’m so lucky to be his Ma. 6. I don’t watch too many television shows, but when I find one I love, I can’t get enough. My newest favorite is Madam Secretary. I look forward to watching it every week and am crossing my fingers that it does well enough to be picked up for a second season. 7. I always keep the blanket Gram crocheted for me nearby. It sits on my desk chair during the spring and summer, and on my bed in the fall and winter. She was working on it for me in the months before we lost her, and my aunt was sweet enough to finish it up. I love keeping it close to my heart, because that’s where Gram will always be, too. Your turn – share three facts about yourself in the comments! 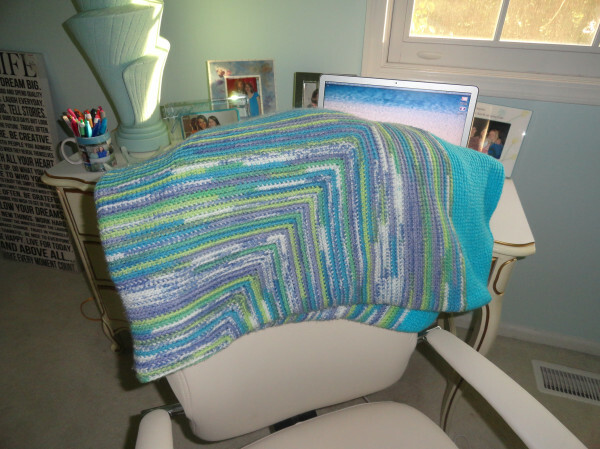 Oh wow, that was so wonderful of your aunt to finish the blanket for you. “Binky”-ing sounds adorable! Makes me miss my childhood bunny. I didn’t know you had a bunny! Oh my gosh, and it is seriously the cutest/funniest thing. I keep trying to get video of it, but he moves so quickly that I can’t keep up with the camera. I need to set it up on a tripod or something! I really think I’m going to make it a tradition now to commemorate each story somehow. It’s a good reminder that, no matter what happens, they’ll always have a place in my heart. You should definitely do it, too! I can completely relate to the interstate thing. Now that I work from home, I have much less tolerance for it. I drove downtown on the interstate for 19 years…but now my trips are limited to local places. When I do have to hop on the interstate, it’s like i’m learning to drive for the first time! Oh boy, nineteen years? You must’ve been so happy when that became a thing of the past!